The show community has been seeking clarity from Defra over how new post-movement testing rules could affect some of the country’s biggest agricultural shows. Farmers taking cattle from England’s Low Risk Area (LRA) to multi-day shows in the High Risk Area (HRA), Edge Area and Wales will, from this week, have to post-movement TB test them on their return. Show organisers across the country have been seeking clarity from Defra this week amid concerns new post-movement testing rules introduced on Wednesday (April 6) could play havoc with cattle entries. The new rules require cattle moving onto a holding in the LRA from England’s HRA, Edge Area and Wales to be post-movement tested between 60 and 120 days after arrival. It is the farmer’s responsibility to organise and pay for the tests. 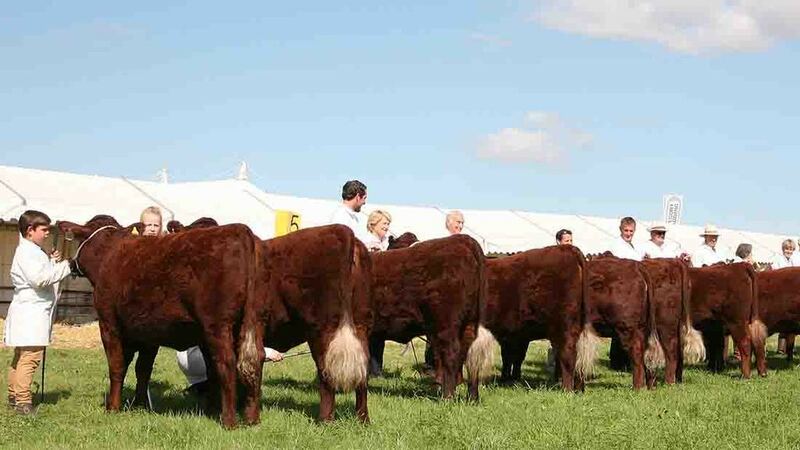 The implications for shows have been clouded in uncertainty, prompting the Association of Show and Agricultural Organisations (ASAO) to request a meeting with Defra at the end of last week. Shows outside the LRA that last for less than 24 hours will be exempt. This will affect some of the big shows from the North West of England, through to the Midlands, Wales and South West, areas currently under one-year or more frequent TB testing. Some of these are likely to struggle to attract entries from the northern and eastern counties, if the rules stay as they are. But the spokesman said Defra did ’not envisage’ requiring cattle moving to shows in the LRA from other areas having to be post-movement tested before they return home, ’given the impracticalities’, which would involve cattle remaining in the LRA for at least 60 days. ASAO secretary Paul Hooper said the show community was still in discussions with Defra and the Animal Plant and Health Agency (APHA) to seek clarity and a proportionate approach to the new rules ’on the ground’. The Defra spokesman said there were no plans to change any of the rules. From April 6, farmers in England’s Low-Risk Area (LRA) will need to arrange post-movement testing of cattle coming from the Edge and High-Risk Areas (HRA) of England and from Wales. Farmers will not be notified about the tests. It will be their responsibility to arrange and pay for the test, although a Government-funded herd surveillance test can be used if it falls at the right time. Cattle brought in to the LRA must be post-movement tested between 60 and 120 days of arriving in the LRA. The test must be performed on the holding cattle first arrive at in the LRA. Young calves must be post-movement tested even if they were exempt from pre-movement tests, as they were under 42 days. Cattle on one-year or more frequent testing in the LRA still have to be post-movement tested. If a herd fails to post-movement test, restrictions will be placed on the receiving herd until all the moved animals have been skin tested with negative results. Herds moving from one-yearly or radial testing herds within the LRA do not have to be post-movement tested. Cattle from outside the LRA moving to one-yearly or radial testing herds within the LRA do have to be post-movement tested. All new breakdown herds in the HRA, regardless of post-mortem or laboratory culture results, will now require two consecutive short interval (60-day) herd tests with negative results read under ‘severe’ interpretation tests before movement restrictions are lifted. Free pre-sale TB tests will be available to herd owners in the LRA selling 20 or more cattle in a single purchase. APHA will start offering the option of private Interferon Gamma blood tests to diagnose TB under certain conditions.